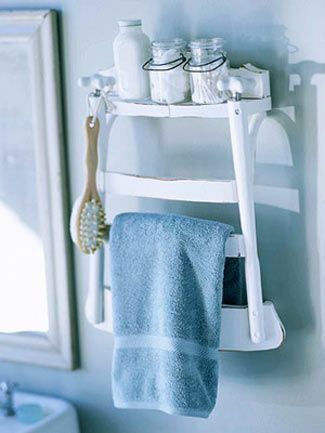 Home » Ideas for Reuse & Repurposing » Ideas That Inspire! Did you know that doors, windows, lighting, and furniture are 30% – 50% off this month, including many vintage items? (Click here for all the details). With prices so low, why not pick up a few things to experiment with? In our furniture department, we have a good number of chairs that are just waiting to be loved, renewed, and upcycled. Whether it’s a towel rack, a garden bench, or just fresh fabric and paint, these links should inspire you to come check out our selection of furniture for your own creative project. Click on the images below to see all the articles!